As they reunite in 2015, here's a fresher on the BIG FACTS about the original boy band. The phenomenon that was the Bay City Rollers was known as 'Rollermania' - they were the ORIGINAL boy-band, long before One Direction! 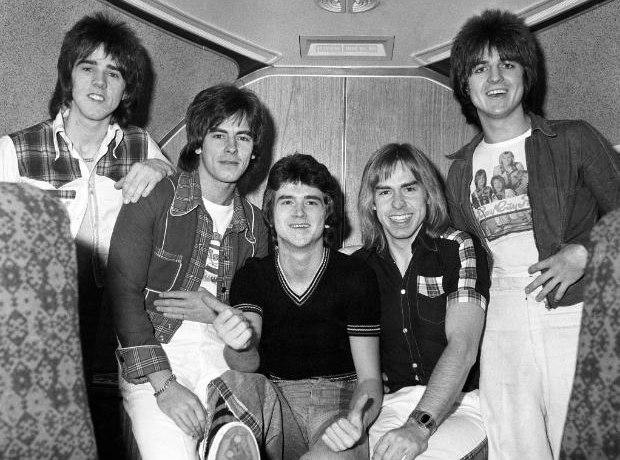 Originally, the group was named ‘The Saxons’ but they later changed to ‘Bay City Rollers’. How did they decide the name? They threw a dart at a map of the US and it landed on Bay City in Michigan. The original lead singer was Gordon Clark who left the band just as ‘Remember (Sha La La La)’ reached no.6 in the UK charts. He was replaced by Les McKeown and they re-recorded the vocals on the hit song. Session musicians were brought into lay down many of the tracks on their album ‘Rollin’ because it was felt that the boys weren’t experienced enough as musicians at 16 and 17 years old. They covered a number of famous songs including The Four Seasons’ ‘Bye Bye Baby’ and Dusty Springfield’s ‘I Only Want To Be With You’. The band's first manager was Tam Paton up until they fired him in 1979. Various band members later claimed Paton encouraged drug use, signed dodgy contracts on their behalf and there were also allegations of sexual abuse. In 2007, six former members of the groups took a lawsuit against Arista Records for “tens of millions of dollars” in unpaid royalties. In 2015, the group reformed with three of the ‘classic five’ members – singer Les McKeown, bassist Alan Longmuir and guitarist Stuart Wood. We're expecting a brand new album any day now!